Apple has been ruling the smartphone space since a long time with its premium and luxury phones and devices and yet again the technology giant has come up with another series of devices that may blow away your mind. Apple has launched its largest ever iPhone and a watch that detects heart problems in an attempt to get customers to upgrade to more expensive devices. On Wednesday, Apple introduces another round of iPhones that are bigger, faster and more expensive namely, iPhone XS, iPhone XS Max and iPhone XR. The model with a 6.5-inch screen, the iPhone XS Max, is Apple’s biggest iPhone ever and will start at $1,099. Talking further about the devices, here is what the company announced about the devices in Apple’s annual September press conference. The most expensive iPhone that was launched last year has got an upgrade and its two variants are iPhone XS and iPhone XS Max. The two new phones have different sizes that are 5.8-inch (iPhone XS) and 6.5-inch (iPhone XS Max). Both the smartphones are highly priced at a starting range of $999 and $1,099 respectively. The Max has a larger display than the usual Plus size phones but a similar body. These devices have got a modification and do not have a home button, instead feature Face ID in place of a Touch ID fingerprint scanner. The company has emphasized on the phones’ advanced processor, durable glass and so-called Super Retina OLED display with a wide color gamut. The cameras of both the iPhones are obviously “better than ever before,” as stated by Apple exec Phil Schiller. No doubt Apple’s cameras have no competition; the company has introduced new 12 megapixel cameras with bigger sensors and an improved HDR mode. Also, the popular portrait mode that is loved by all, which de-focuses the background of a photo to emphasize the subject, has a new feature under which the user can adjust the depth of field after they take the picture. 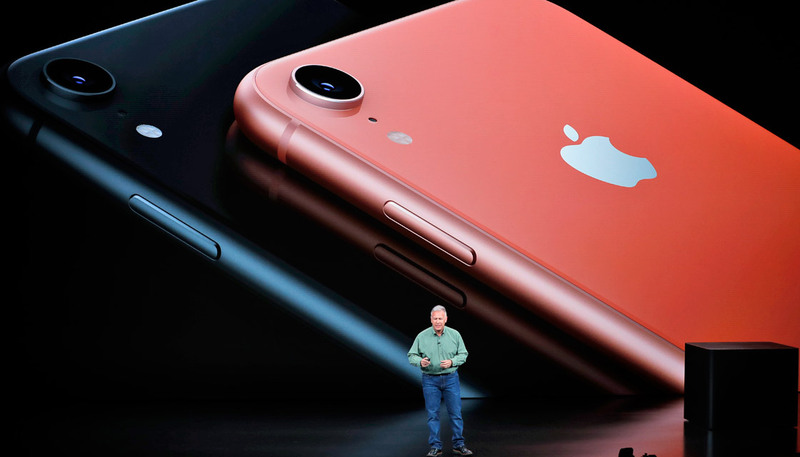 Another unusual surprise that the company gave at the launch was the introduction of a third smartphone, the “lower-end” iPhone XR which is made of aluminium. The price of the smartphone starts at $749. The device sports 6.1-inch bright LCD screen and comes in a good range of colors, that include white, black, blue, coral and red. This device also does not feature a home button and will be activated by swiping up. Unlike the XS models, this device has a single-lens camera – a 12-pixel wide-angle camera. However, it features the portrait mode that is found in its dual camera devices. 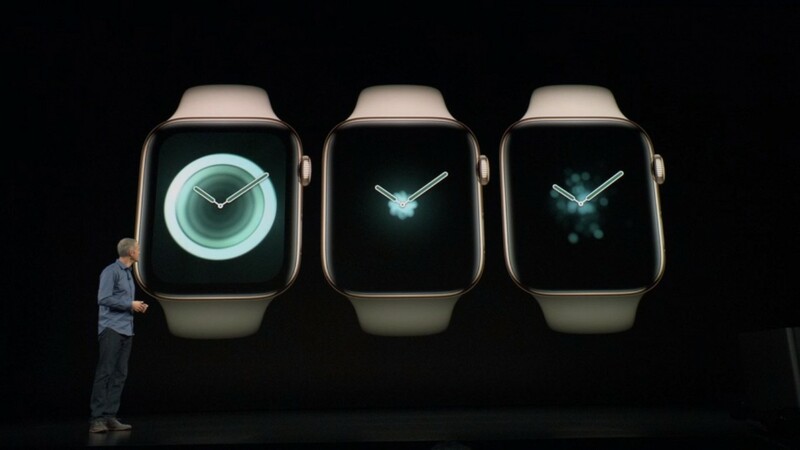 Another upgrade that happened in the event was of Apple’s 3-year-old smartwatch. The Apple Watch Series 4 now has a 30% larger edge-to-edge display. The new model is also slightly thinner, has more reliable reception and two times faster. Also, it has curved corners with beautiful design. The digital crown that is the dial on the side now has haptic feedback to feel vibrations. The latest smartwatch also has a built-in EKG sensor to help diagnose heart diseases and other conditions. The company says it’s the first EKG available over the counter. The price of the Apple Watch Series 4 will be $499 for built-in connectivity and $399 for a standard model. An iPhone XS Max with 512 GB of storage will be the most expensive iPhone ever. Meanwhile, the iPhone XS will cost the same as last year’s iPhone X. On the other hand, Apple will continue to sell the iPhone 7 and iPhone 8 in regular and Plus sizes. 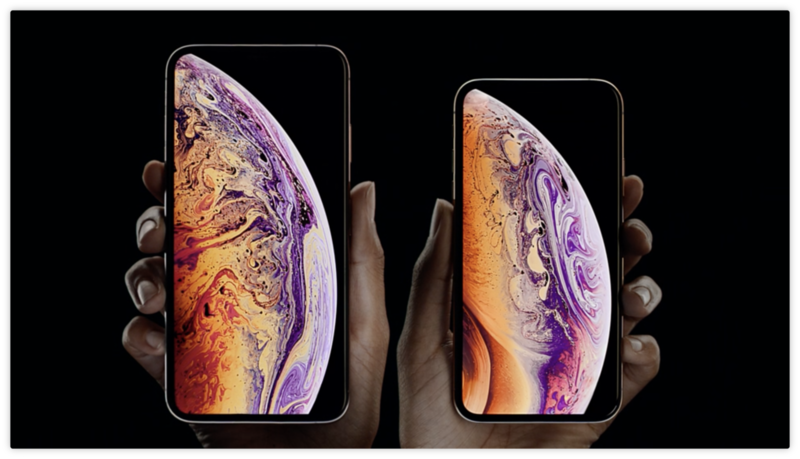 Talking about the availability, the newly launched iPhones, iPhone XS and XS Max will be available to pre-order on Friday September 14, and ship Friday September 21 in the US and other countries. For the pre-order of iPhone XR, the customers can do it starting from Friday, October 19. The smartphone will hit stores on Friday, October 26, in more than 50 countries. On the other hand, Apple Watch Series 4 will be available for pre-order starting Friday and ship Friday September 21. Along with all these upgrades, Apple also announced its software launch. Even if you are not purchasing the new iPhones, the customers will be able to download iOS 12 starting Monday September 17. iOS 12 features new Animojis, customized Memoji and a much-anticipated time management feature to help people use their devices less. The new launches though are exciting but also are quite expensive for the normal public. The iPhone X that was launched last year wasn’t a huge success as other iPhones, so let us see whether these new models will hit the market with a bang or not.